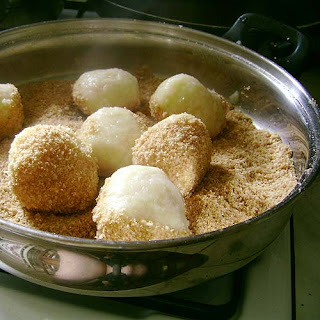 The potatoe dumpling is a typical Hungarian food usually filled with plums. 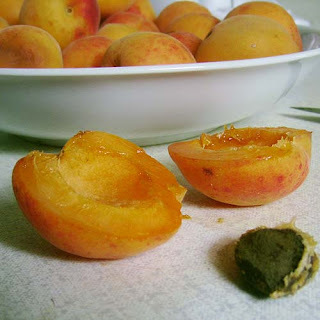 Now is the season for apricots so the filling is made from them. This is a very delicious food which is eaten after a meaty soup. 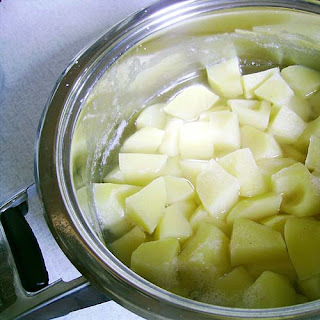 Dice potatoes and cook them until soft in boiling water without salt. 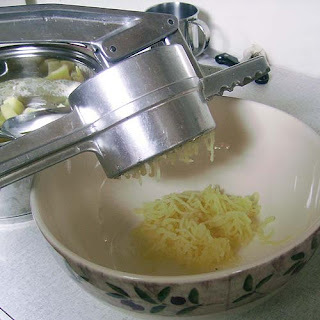 Crush the hot potatoes - without the water, only the potatoes. 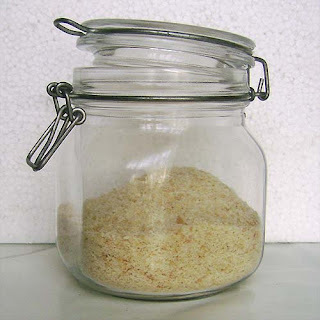 Make crumbs of dry bread with rasp. 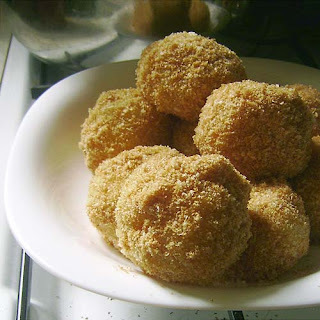 Frizzle the crumbs in a pan without oil. 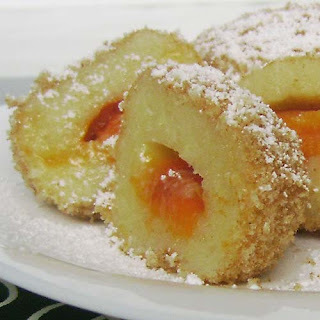 If it is as good as done add sugar and frizzle together. 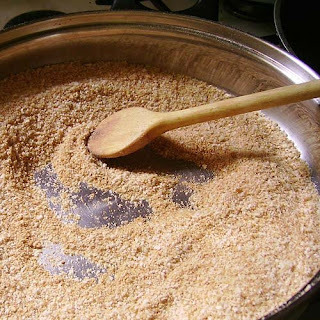 Sugar will become caramel. In the end admix 2 tbsp oil. 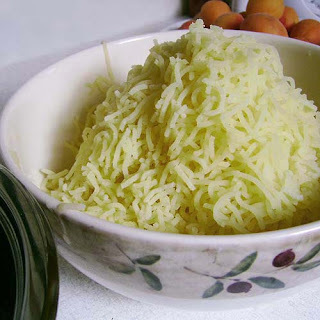 Add flour to the potatoe puree and knead dough - about 1-2 minutes - add a pinch of salt too. 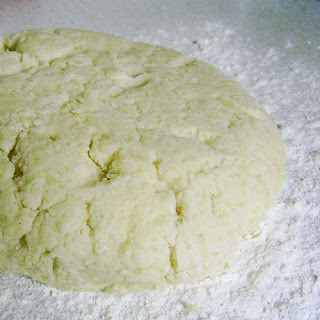 Sprinkle flour under and over the dough because it is sticky. 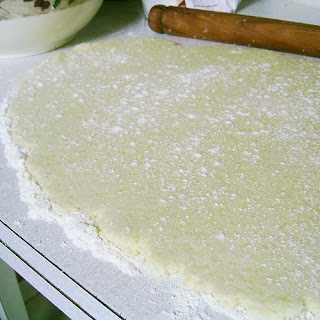 Stretch the dough - it should be about 1 cm thick. 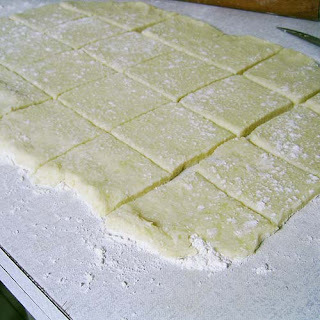 Slice to 6x6 cm squares. 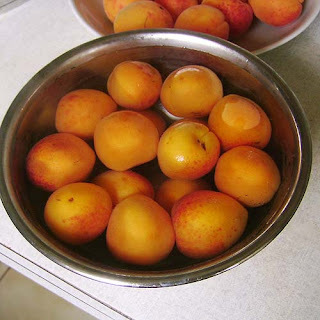 Cut apricots in half or quarter. It depends on the size of the fruit. 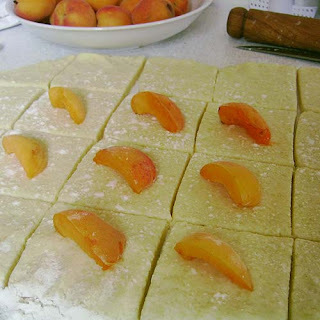 Put apricots on the squares. Take by 4 corners of each square and compress the crevices well. Round them ball-shaped. Heat some water in a saucepan add salt too. When the water is boiling put the dumplings in the pan and cook them 4 minutes. 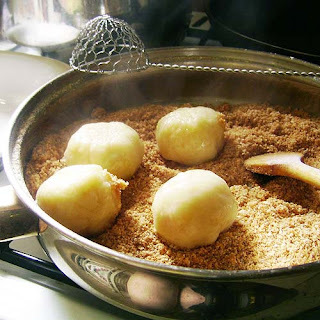 Take out dumplings from water and put them in the crumbs. 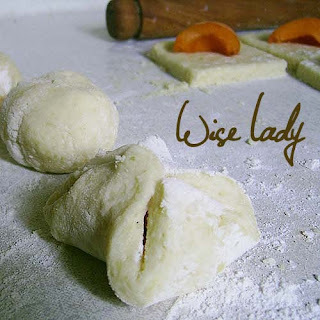 Roll the dumplings in the crumbs. 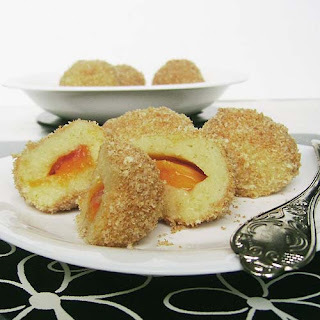 Sprinkle dumplings with powdered sugar before you eat them. 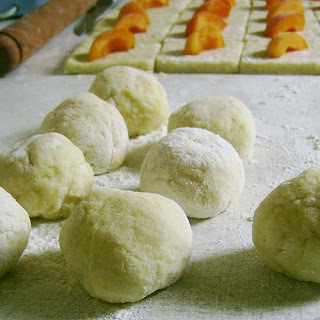 Dumplings are made in Hungary with plums, peaches and jams too. 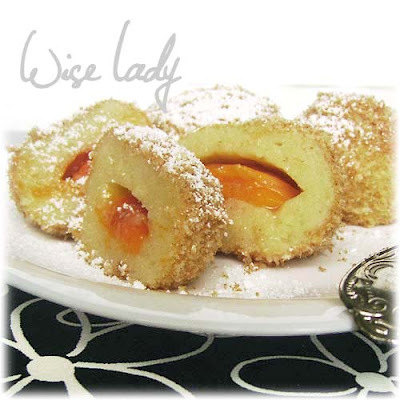 0 megjegyzés ehhez: "Dumplings with apricots"